Going, Going, Gonzalez? How Long Can Alex Last? 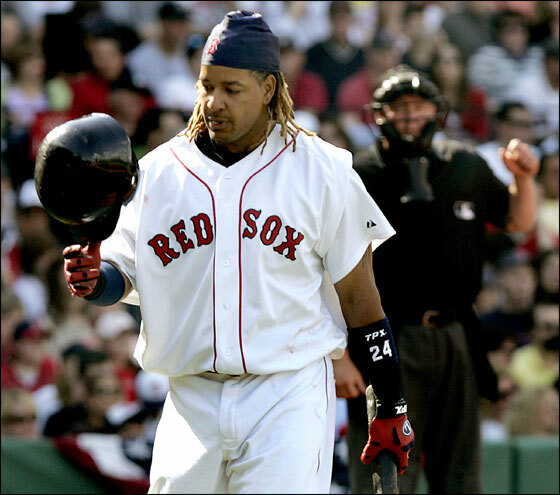 Allow Manny Ramirez to Stay Home and Admire Fly Balls? 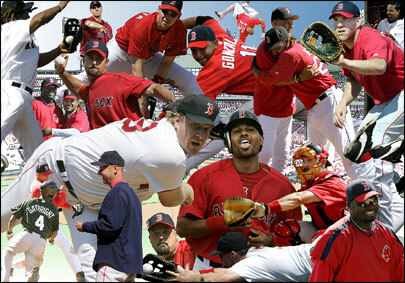 Remember the Days of Clutch Hitting and Comeback Wins? 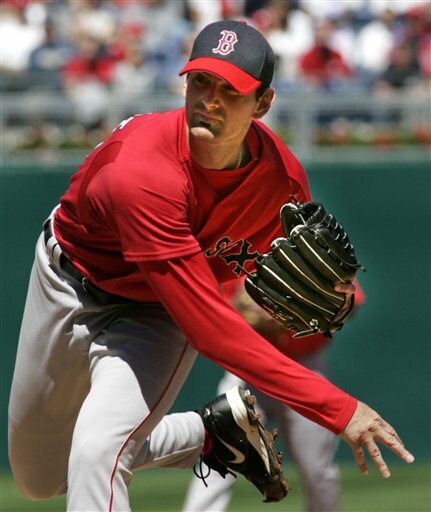 As a preview to the upcoming Sox-Yankees matchup at Fenway on Monday, Jon Papelbon strapped on the Xbox Live headset and challenged Yankees reliever Kyle Farnsworth in a virtual match up playing MLB 2K6 on Xbox Live. 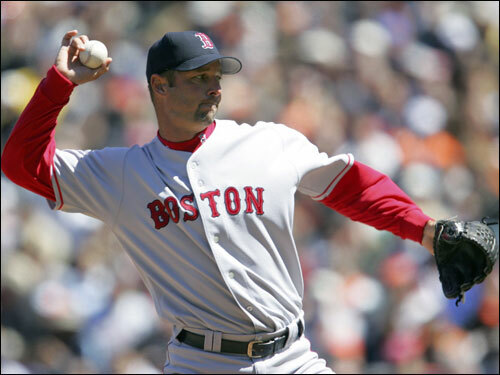 Gaming from Cleveland, Papelbon opted against starting Curt Schilling or Josh Becket, handing the ball to knuckleball specialist, Tim Wakefield. 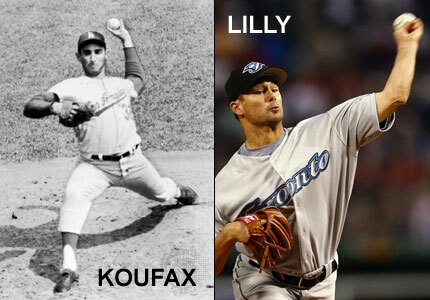 Back in New York, Farnsworth went with Randy Johnson. Johnny Don't-Boo-Me Damon led off the bottom of the first with a base hit and with two outs, juice guy Jason Giambi knocked a triple off the wall in right center, scoring Damon. 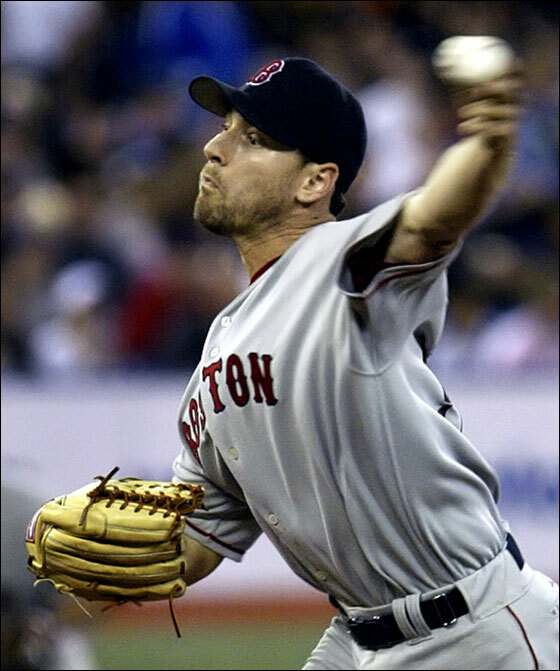 The Sox got on the board in the top of the second when Manny Still-Slumping Ramirez scored on a wild pitch, but the Yanks broke the tie in the bottom of the inning when Jorge On-Dirt-Dogs-Fantasy-Team Posada hit a sacrifice fly, scoring Hideki Matsui. 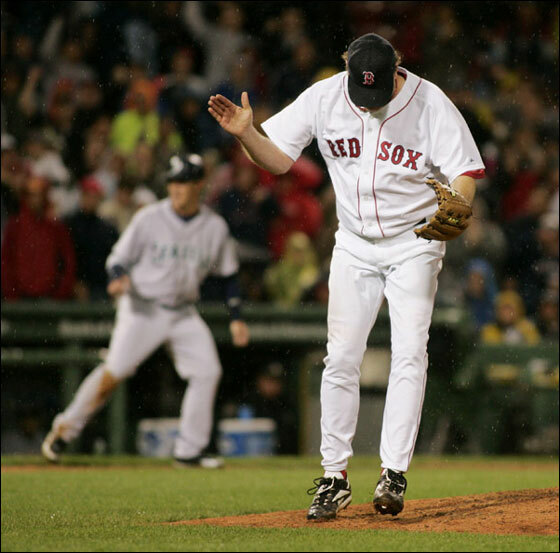 Both teams put up zeros in the third, but the Yanks were dealt a huge blow in the top of the fourth when Giambi left the game due to an "abdominal strain" after diving into the stands to catch a foul ball. 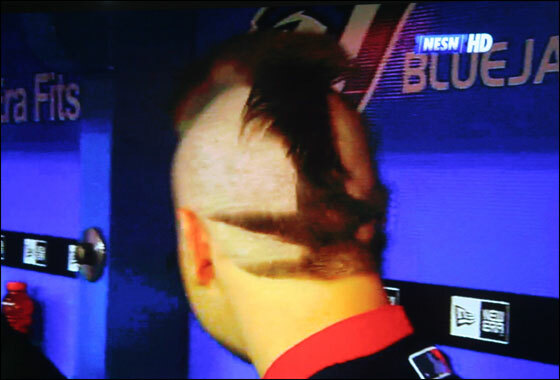 Possibly rattled by Giambi’s sudden injury, Farnsworth unleashed a 98-mile-per-hour heater with cyber Randy, almost taking off David Ortiz’s head. 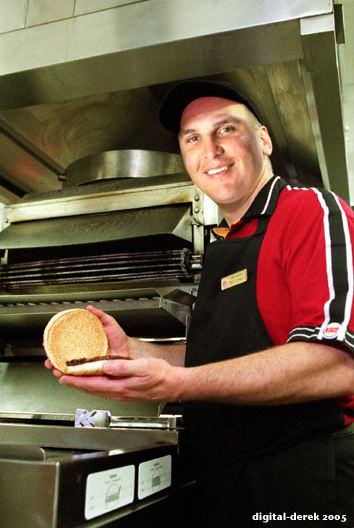 “That got me off the plate, but you better not come in again,” said Papelbon who then proceeded to drill a line-drive base hit with Big Papi. 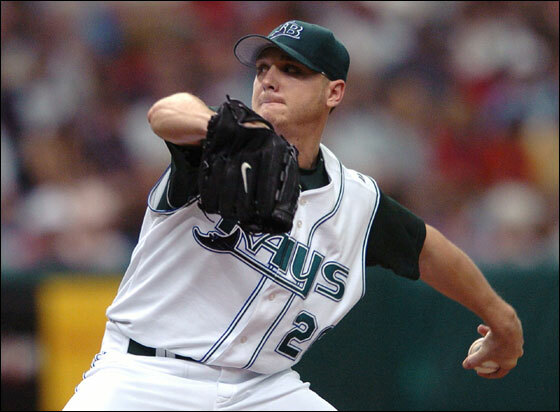 After advancing on a wild pitch and a single by Mike Lowell, Dirt Dog Trot Nixon stepped up to the plate with runners at first and third with two outs. 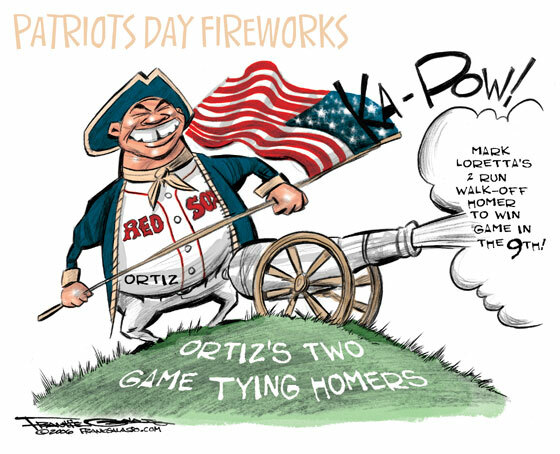 Trot pounded a Johnson changeup into the right field corner, scoring Ortiz easily. Playing the ball off the wall, Gary "Chris House Is Back at Fenway" Sheffield threw a strike to virtual Yankees 2B Robinson Cano as Lowell rounded third attempting to score. 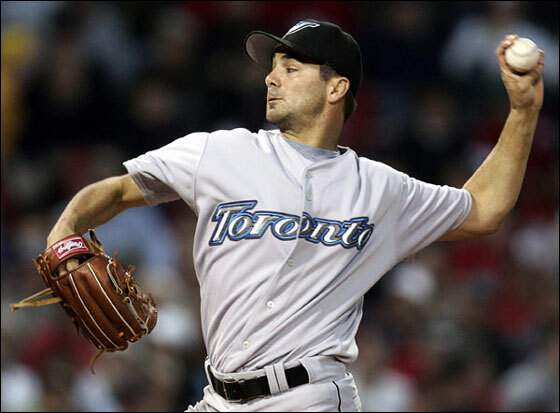 Cano got the ball out of his glove quickly, firing a bullet to Jorge Posada who applied a quick tag on Lowell for the out, ending the top half of the fourth inning with the teams tied 2-2. Shutting each other out in the fifth and sixth innings, Farnsworth came to the plate in the bottom of the seventh inning on a mission. “Get a pitch up in the zone, come on Bernie,” Farnsworth shouted as the Yankees DH, Bernie Williams, took to the plate. After belting a solid single off Wake, Papelbon decided to make a pitching change and brought in Iron Mike Timlin who proceeded sit the next three Yankee batters down in order. With the score remaining tied at two heading into the top of the ninth, Farnsworth made an interesting move –- passing over himself to bring in Worcester's Own Tanyon Sturtze. 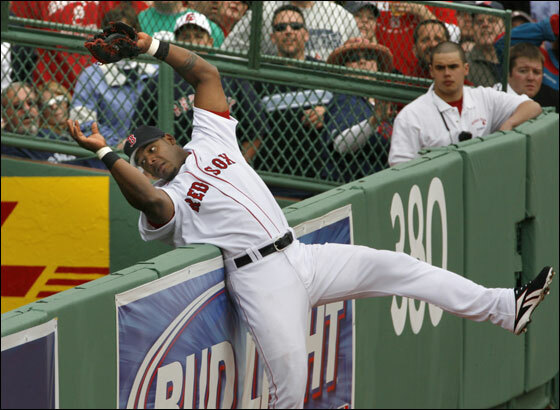 Sturtze made the biggest mistake of the game on his very first pitch, leaving a belt high fastball over the plate to Manny Ramirez who crushed it 500 feet, landing in the back row of the bleachers in right center. 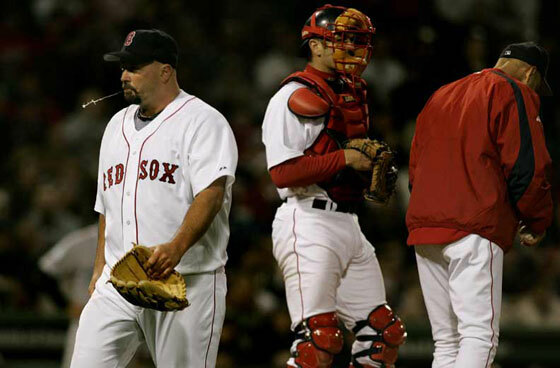 Adding insult to injury, Jason Varitek nailed the very next pitch over the wall in center, putting the Red Sox ahead 4-2. 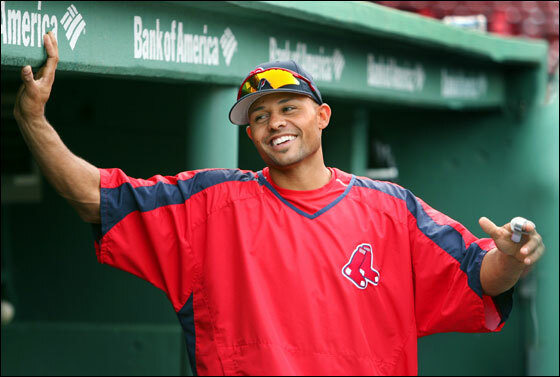 “ 'I find the whole thing about him coming back to Boston almost a comedy in and of itself. 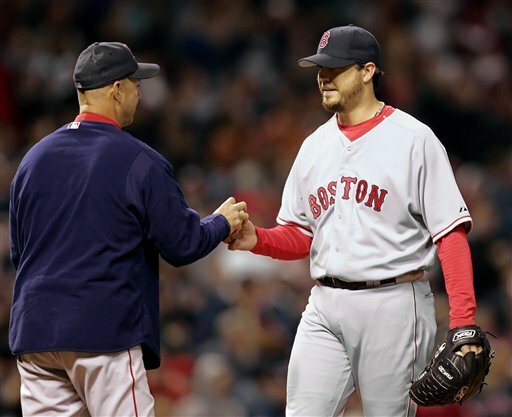 That there are people in Boston who would hate this guy and not know this guy has never cheated anybody in his life or not know how hurt he was the last two years he was here, how much crap he had to pitch through. And He Wants His Shoes Back! 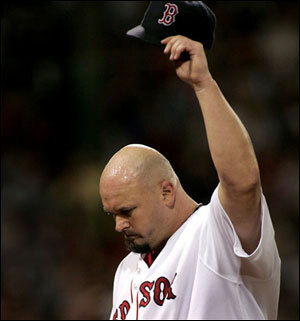 "Foulke said he still believes he deserves to have the ball. A teammate, who did not want to be identified, agreed. 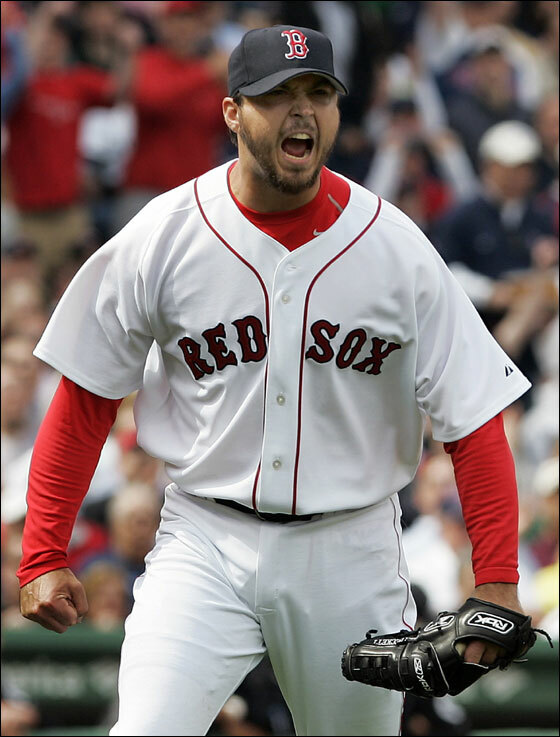 "Foulke said he had asked Mientkiewicz for the ball over the winter following the World Series but was turned down. 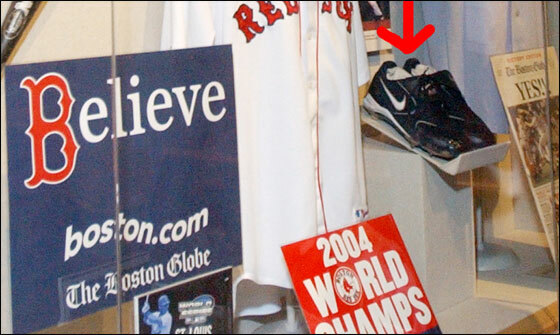 Now that it's in Cooperstown, Foulke knows he has no chance to get his hands on it. Your Turn: Would You Cheer Johnny on Monday? Give No-Hold-Bard a Break, It Ain't Easy. Maybe 'Tek Should Step Up? 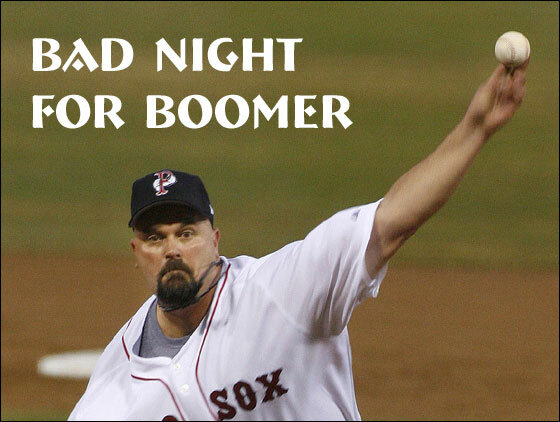 Time to Buy Your Roger Clemens Red Sox T-Shirt? Nip on Roger's Return | Sox No. 1 Choice | Wily Mo in Center? 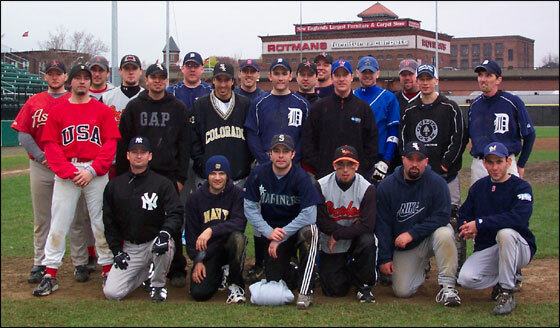 The Boston Men’s Baseball League completed their third annual “100 Innings of Baseball” game at Fitton Field in Worcester last weekend in windy, rainy, and cold conditions. 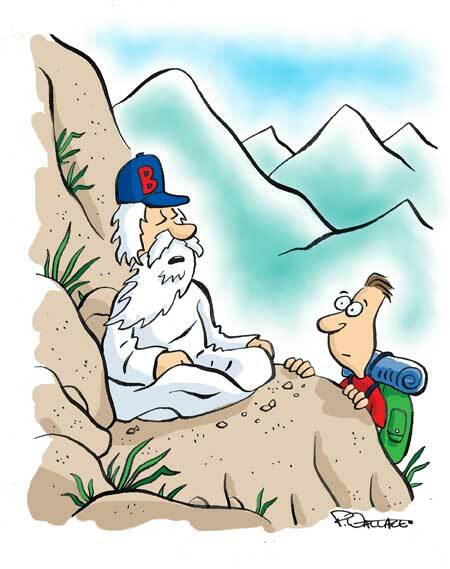 The game aims to bring awareness and raise funds to help eliminate Amyotrophic Lateral Sclerosis (ALS), more commonly known as Lou Gehrig’s disease. In a remarkably close contest, Team Stamina outlasted Team Endurance by a score of 69-66. 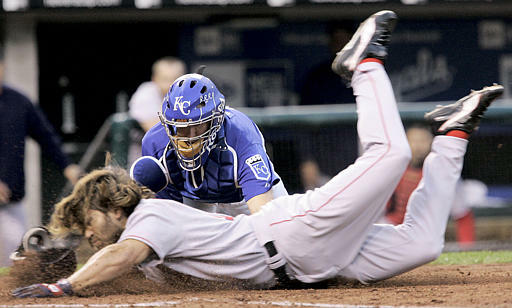 The game was tied as late as the 97th inning. The first pitch was thrown at 9:30 a.m. Saturday morning and the game was played with no stops through the night -- finally finishing up on Sunday afternoon around 4 p.m., some 30 hours later. More than 120 local amateur players suited up to raise funds over the course of the event. Twenty-two “Iron Men” were in the lineup for the full tilt -- a new record. 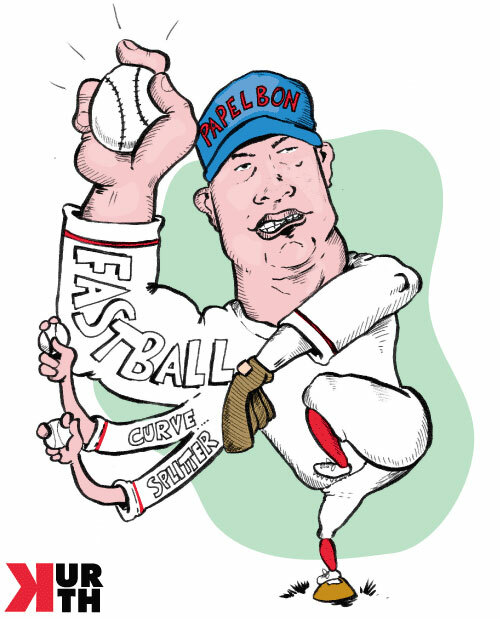 Walter Bentson, a local umpire battling PLS (primary lateral sclerosis -- a neuromuscular disease in the same family as ALS), successfully completed his mission of being on hand for all 100 innings. 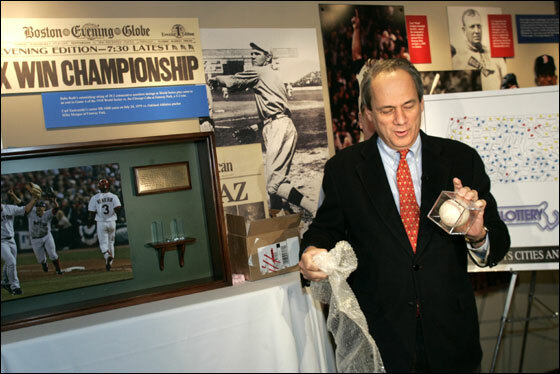 Though his doctors urged him to just umpire one symbolic inning, Walter’s determination found him behind the plate for over two-thirds of the game, including the first and 100th innings. Shonda Schilling made a relief appearance in the 94th inning for Team Endurance. The marathoner retired the first two batters on easy ground balls. Then, taking a page from Curt’s book to work the inside part of the plate more, she threw a high hard one that plunked the next batter. She immediately received a “warning” from umpire Bentson. 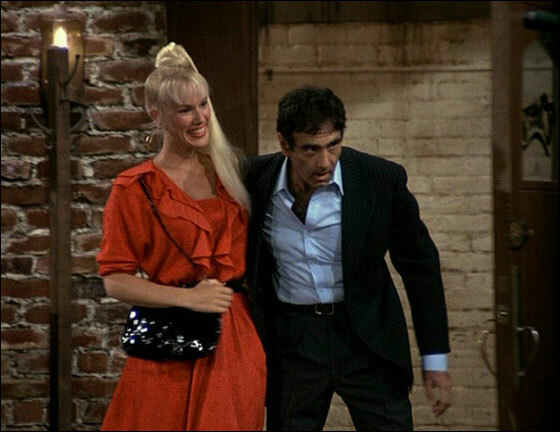 She then showed off more of that Schilling heat, allowing one hit in her appearance. Proceeds from the game are benefiting the ALS Association MA Chapter and the Curt’s Pitch for ALS Program -- the initiative started by the Schillings. The 2006 total is still being tallied, but the event will have brought in over $300,000 for the battle against ALS in three years time. 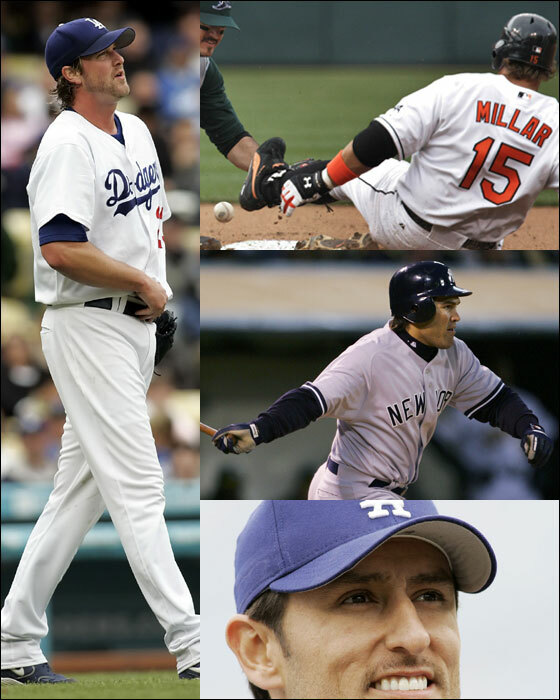 Donations are still being accepted and can be made by visiting www.100innings.org. 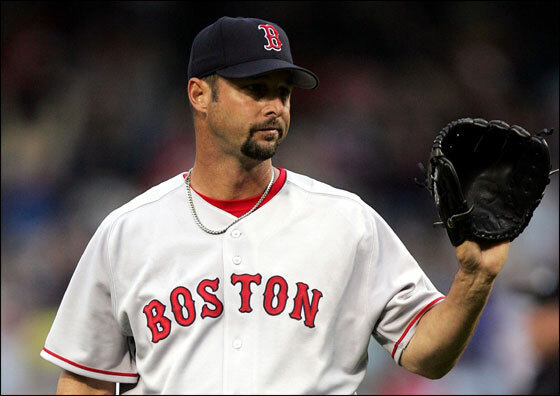 Boston Dirt Dogs has learned that the Red Sox may now be the frontrunner in the Roger Clemens sweepstakes. 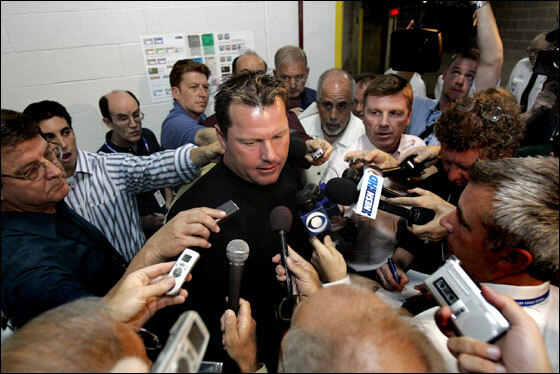 Clemens reportedly said Wednesday he'd like to put No. 21 on his back and finish his career where he started. 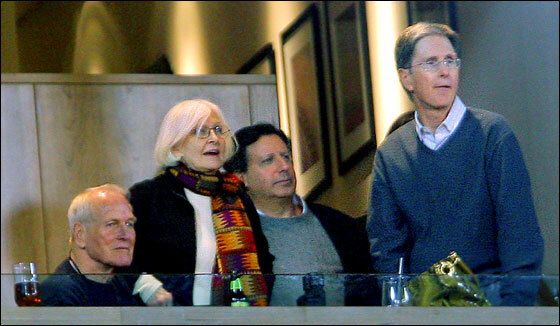 The Yankees are supposedly his second choice even though owner George Steinbrenner hasn't yet made Roger an offer; however, Roger expects him to at some point. 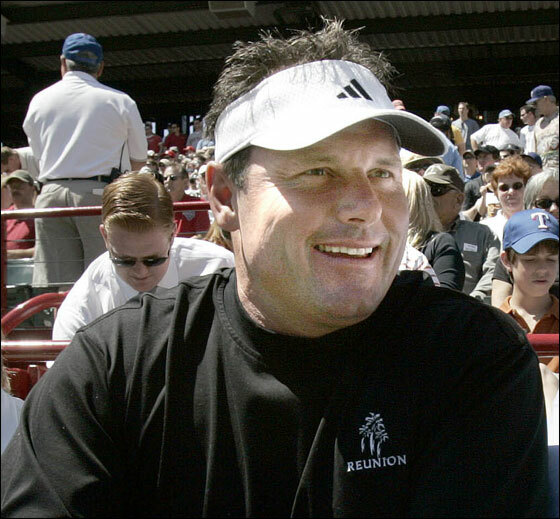 The Astros may have moved up to Roger's third choice while the Texas Rangers, who made a great presentation, are not generating any real excitement in the Clemens camp. According to MLB.com, Clemens said Wednesday that physically, his body feels pretty good, and that his arm is "not too far away" after working out with son Koby, an Astros prospect playing at Class A Lexington, for five days recently. 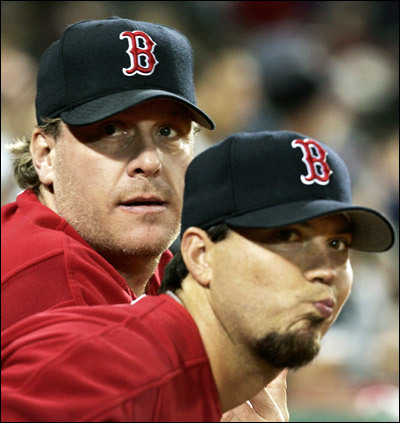 Clemens also said he is enjoying retirement and isn't ready to think about pitching again at this point. 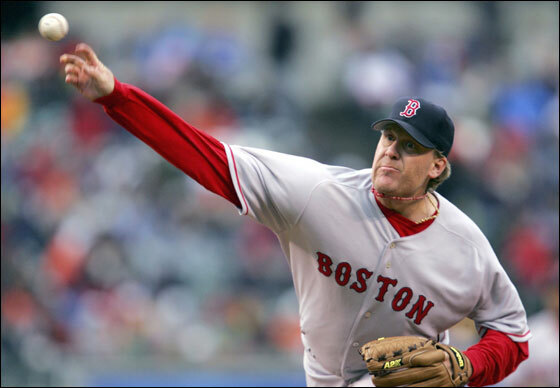 "I understand the Red Sox side of it, the history with New York and I understand what's happened here [in Houston] the last few years," Clemens said on Wednesday. "Again, that's just not something I'm thinking about just yet. I'm going to pass on those questions right at this point. I've not decided to go there there just yet. I'm getting updates and calls from the other three teams. They're very flattering. If I decide to go in that direction, I'll get myself mentally prepared for that." In his ESPN Insider blog, Peter Gammons writes today "There is a growing feeling in Houston that even though the Astros have three rookies in their rotation that owner Drayton McLane would rather not spend the coin for Roger Clemens, and would rather have him sign with the Yankees or Red Sox and paint him as a mercenary. 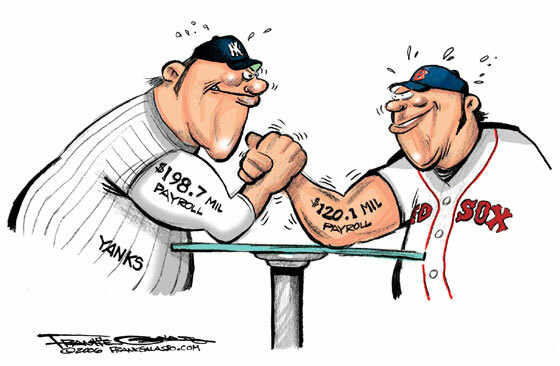 The Yankees-Red Sox bidding war is a Hendricks Brothers' dream. 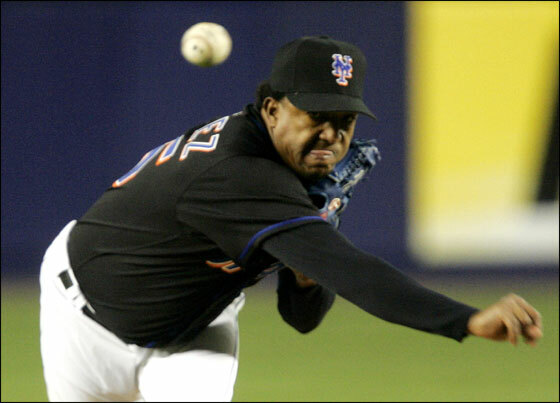 Then it will come down to Clemens' reverence for Joe Torre versus seeing his No. 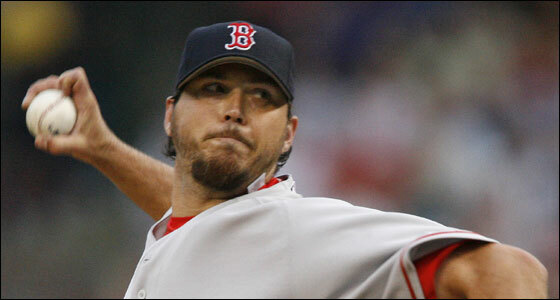 21 retired in Fenway as he passes Cy Young." Room .222: Can We Talk About 'Tek's Slump Yet? Oh My Bard: Will There Be Better Days Ahead? 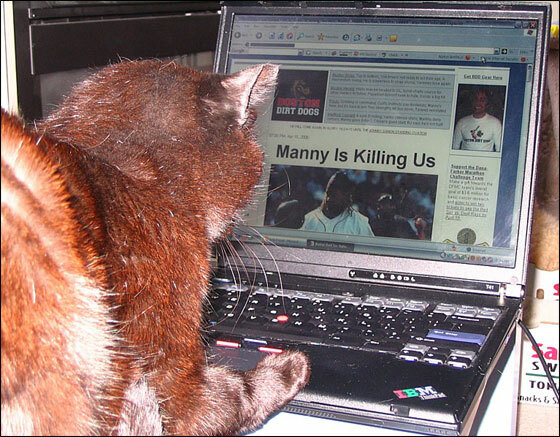 Will the $20 Million Manny Step Up Soon? 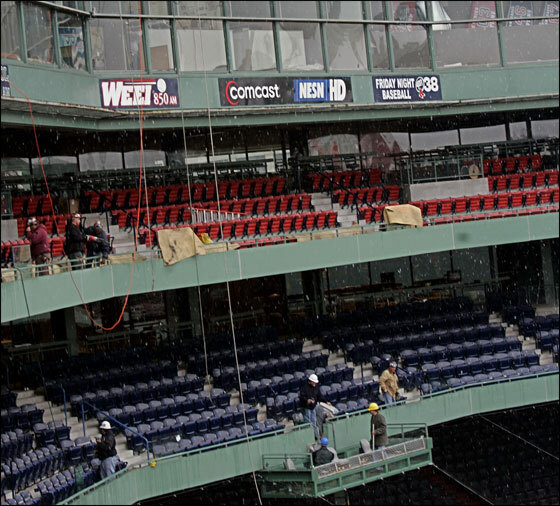 Since When Did Fenway Become Loserville? 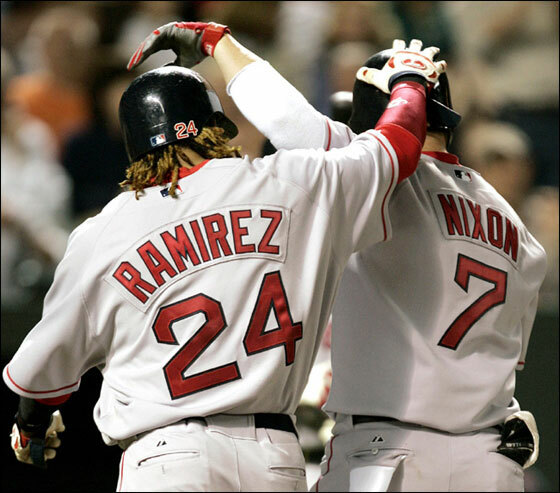 Manny Ramirez Has His First Extra Base Hit of the Season. RBI Double. Crazy for You: What's the Point of This Carl? "I've never experienced it before at any level -- Little League, high school or college level. Just complete euphoria. You kind of have to take a step back and think `is the game really over?'" I can help and get out there and contribute, I might decide to do it." Gonzo-a-Go-Go: Will Shortstop Make Us Forget the OC? 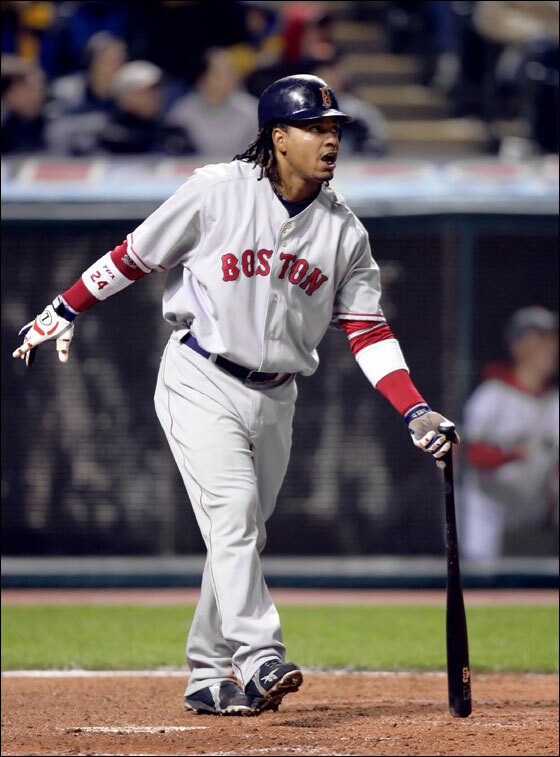 Extra Bases: Manny Being Ready to Hit Tonight? Lowell Bat Speed Watch: Is It Slowing Down Again? How Comfy Were the $275 EMCeats for Tonight's Game? "My name is Joshus Hotheadis Beckettus, commander of the Armies of the North, General of the Fenway Legions, loyal servant to Tito Franconius. Obsessed with playing the game right, I have a very short fuse and tend to overreact. And I will have my vengeance, in the next game or the next. 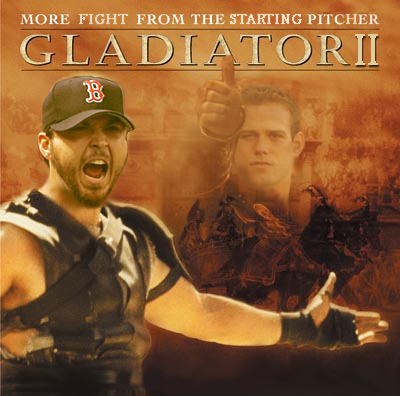 My name is Gladiator." 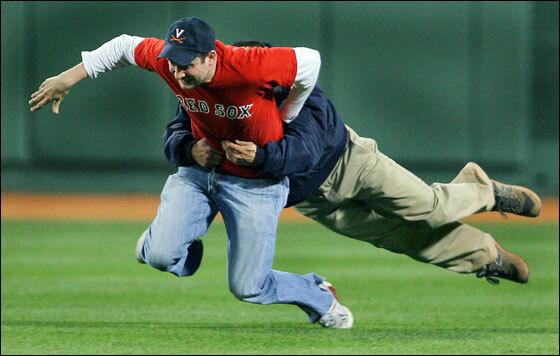 "Beckett admitted he may have overreacted, though he didn’t appear to say anything to Hillenbrand at the time. Hillenbrand said he didn’t even know Beckett was upset until teammates mentioned it after the game. “'I was mad at myself and probably let my emotions get the best of me,' Beckett said. 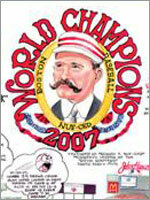 "Hillenbrand, who prided himself on playing hard with the Red Sox, dismissed Beckett’s broadside. 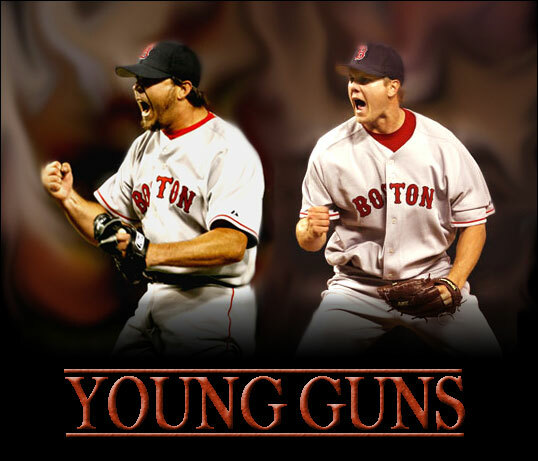 Lineup: Youk leadoff, Stern 8th | Ask Edes: Path for Papelbon? 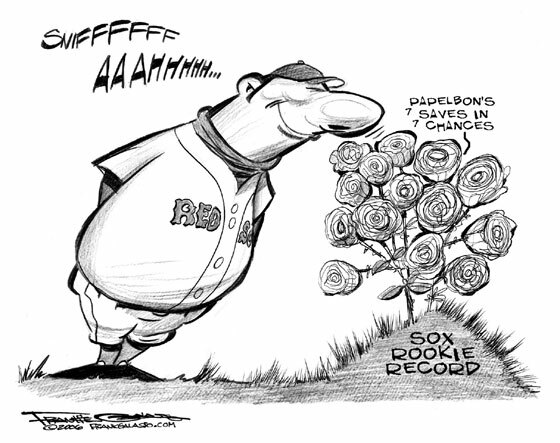 Bob Ryan, Boston Globe: "Has the organization put in a policy that says absolutely no head first sliding?" Theo Epstein, Red Sox GM: "It's absolutely been discussed, it gets covered in drills, but (his sliding is) it's instinct, Manny is trying to get there as quick as possible. Trust me, we were scared when we heard the report." 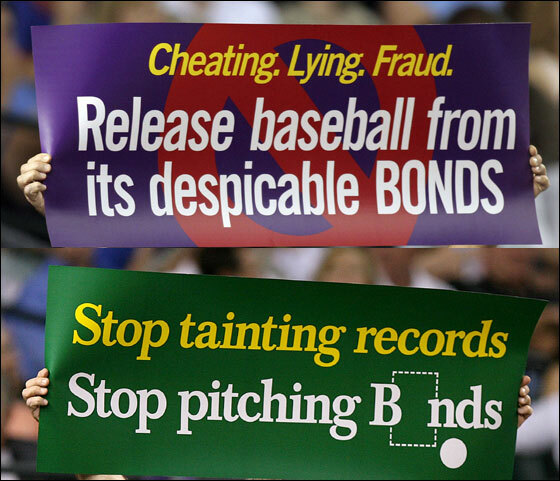 Bob Ryan: "When will they teach these guys in Gulf Coast League that it's not OK to do this. When will they be taught to slide right." 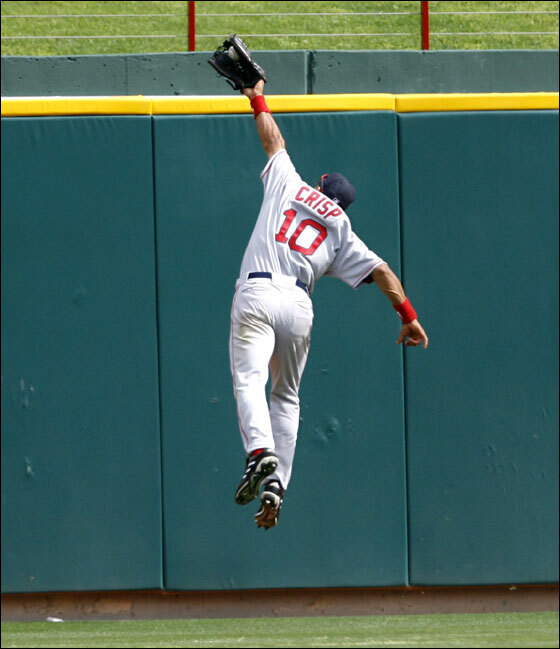 Coco Crisp is out of today's game with a jammed finger. Crisp jammed the finger sliding into third base during Saturday night's game. 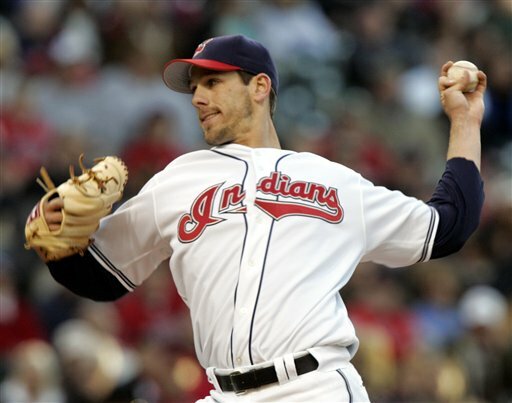 Adam Stern will get the start in center field today. 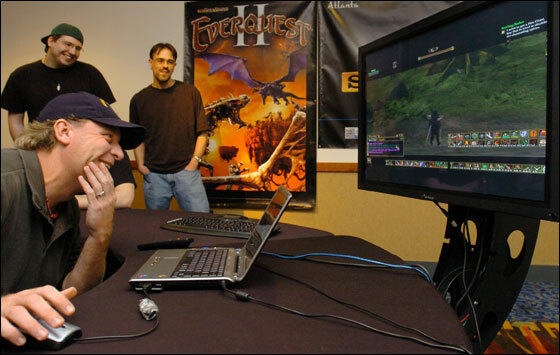 Curt Schilling attempts to slay the dragon Hurricannus while playing EverQuest II on Thursday. Enter Jon. Texas Gone. Case Closed. 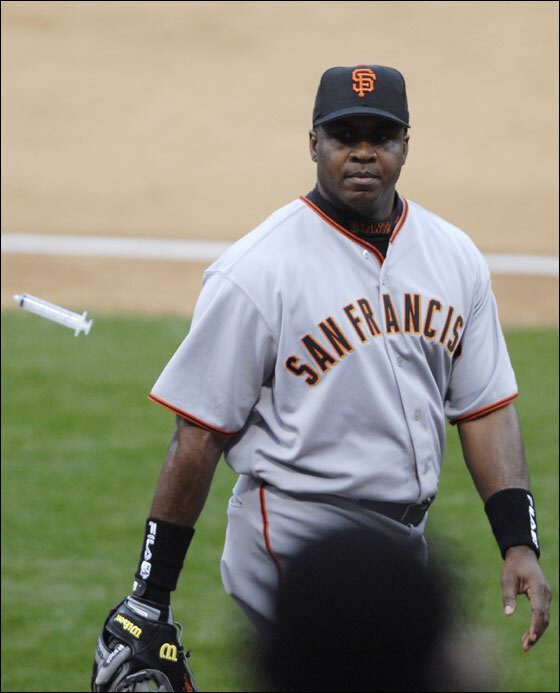 When Will ESPNdesportes Report on Trot Nixon's Contract Extension? Bush League: Is He Working Schilling's Side of the Street? Edes Chat Wrap. Ask Edes Mailbag. Submit Your Caption Suggestion Here. 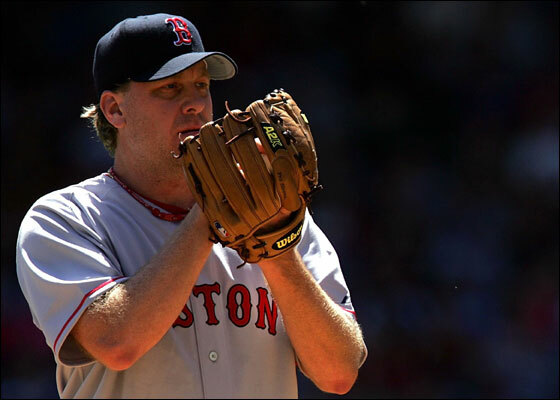 Curt Schilling this morning made his weekly appearance on WEEI's Dennis and Callahan program. 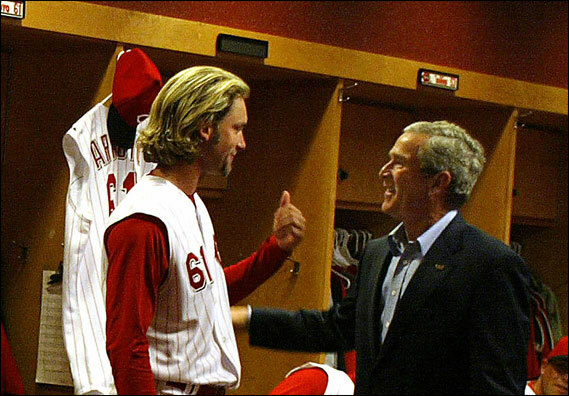 Here are some excerpts: "I actually shook hands and said hello [to Clemens before the game] and didn't realize it until after the game. ... He said 'I don't want to bug you, I know you're getting ready for the game. I just wanted to wish you luck.' And I said 'OK.' No, we didn't chat." 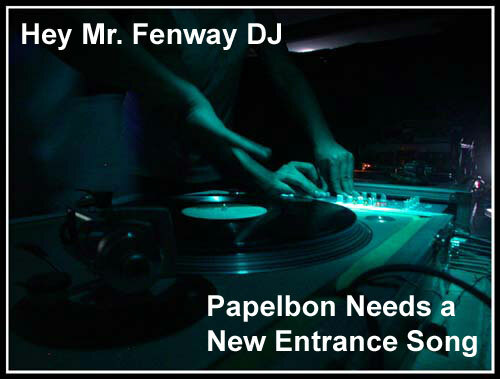 Did you get the sense that he's going to seriously consider coming to Boston and will you try to campaign for that? "Yes, and yes. I think the x-factor is going to be Debbie [Clemens]. I think she's going to have a lot of input, not that she wouldn't anyway. But I think she's going to have a lot of say in what he ends up deciding to do and what he ends up wanting to do. 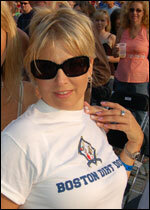 And I think Debbie likes Boston. And I think Boston is going to be one of the two spots he's going to consider coming back [along with Houston]." So he's not going to consider New York in your mind? 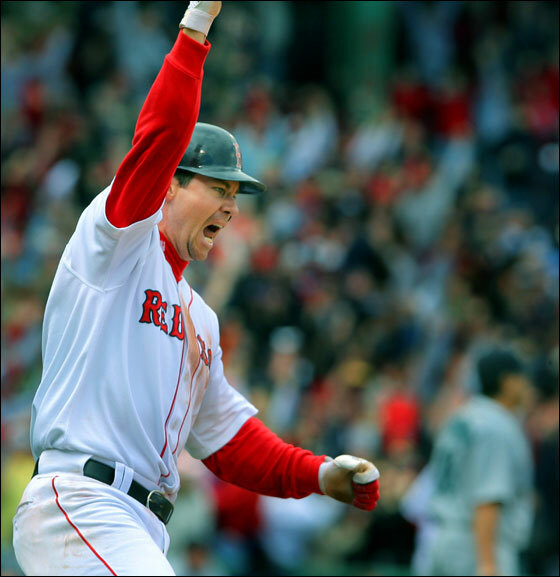 "I think there's a lot of sentimental value [on Clemens coming back to the Red Sox]. 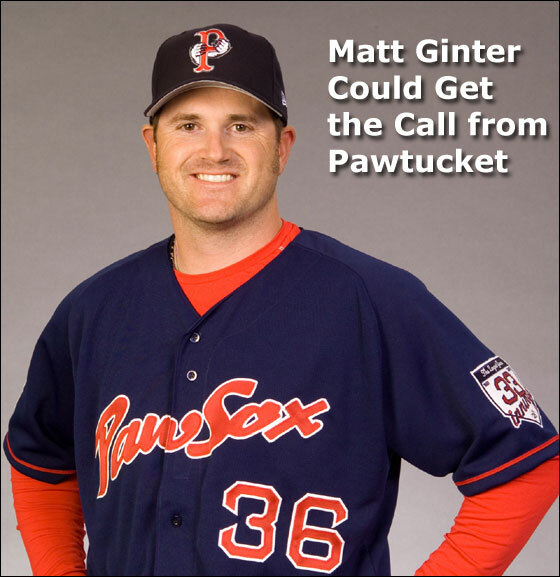 I think he's sold, and was sold a long time ago, on the fact that this is not your ‘90s Red Sox. 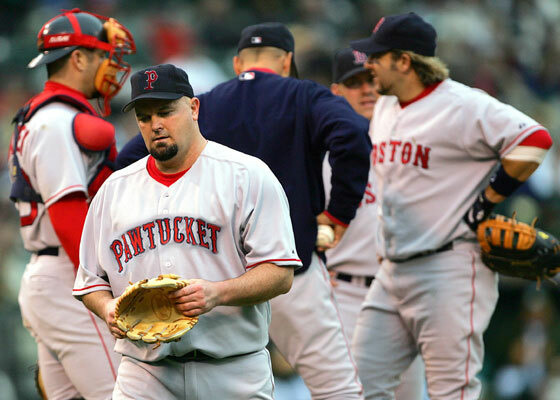 People in Boston are still pissed at him for what they feel like he did when [he left Boston] ... [but] there's not a man alive that would have stayed here and played for [Dan] Duquette after the idiotic and stupid things that he did and said." "I've always been a fan of his (Clemens) to the point where I'll get verbally beat on by teammates because I'm a big Clemens fan." 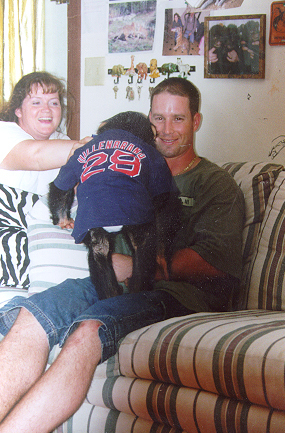 Do you have a (Clemens) throwback jersey? "I'm not a stalker, I'm a fan." 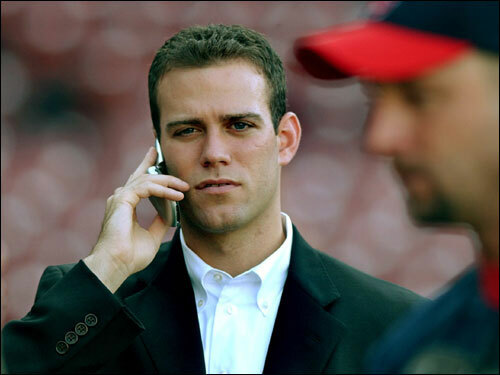 Would you make a recruiting phone call if asked? "I'd wear a tutu. There isn't anything I wouldn't do, potentially, if the thought or the possibility that he wants to come back here. In all honesty, I think he's way past it and I think he's retired, mentally. But I think there's a part of him that's charging up for a three-month run with somebody." Or Is Rocket Just Driving Up the Price? 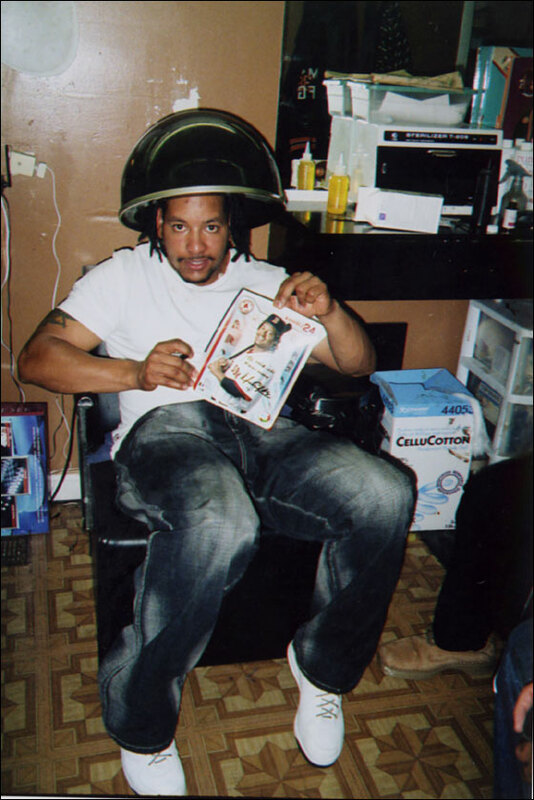 Renowned Red Sox slugging savant Manny Ramirez told a source close to BDD that he will retire from the game of baseball, effective immediately, in an attempt to avoid the publicity and restaurant harrassment that comes with playing and living in Boston. Red Sox GM Theo Epstein, who called this move a minor setback, is expected to make an official announcement this afternoon. Ramirez, who sources say made the decision yesterday while deciding he didn't want to fly to Texas via Philadelphia, is expected to spend a year with his family in Brazil before coming back to the States to become a commentator on ESPN's Baseball Tonight. 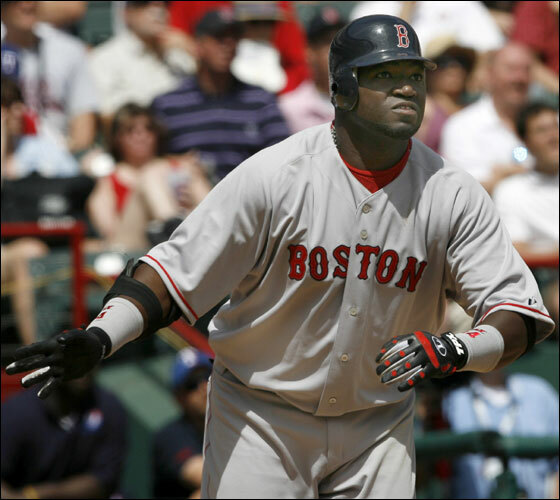 Wily Mo Pena is expected to take Manny's spot as the starting left fielder. 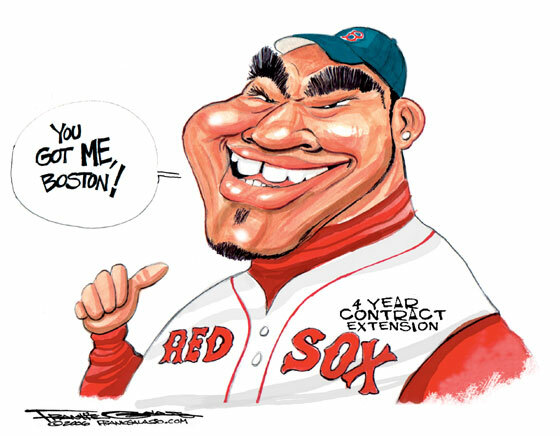 While most Red Sox will miss Manny's presence and right-handed power, some players privately said they had had enough of the "Manny being Manny" phenomenon that the media ate up hook, line, and sinker. David Ortiz, who will miss Manny's lineup protection the most, reportedly is not happy with the possibility of being walked 200 times this season. 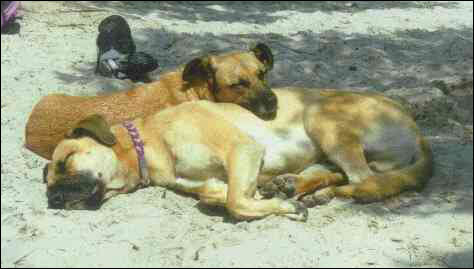 ... Oh, and while you are digesting this story, don't forget to check the calendar.